The Be1 (Be one) -course is a yearly meeting of Christian youth, aged between 18 to 30, across Europe. 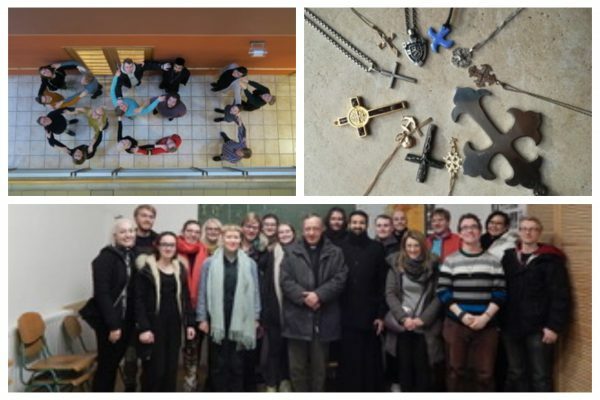 It started as a joint initiative by the European Fellowship of Christian Youth and the Committee of Children and Youth at the Ecumenical Council in Finland two years ago in Riga, Latvia. The name “Be1” comes from Jesus’s prayer for his disciples that “they may be one so that the world may believe” (John 17:21). The aim of the course is to raise awareness about the ecumenical movement in Europe and inspire participants to take action in their own churches and communities in developing ecumenical relations, mutual understanding, prayer, and fellowship. This aim was realised by creating a safe and relaxed atmosphere for the participants, where they can make contacts and get to know other Christians, their faith, and work. In the courses, held respectively in Riga 2017, Tallinn 2018, and Budapest 2019, the participants had the possibility to meet representatives of various churches and join together in services, prayers and bible studies. The topics of discussions this year in Budapest, held from 17 to 20 January 2019 concerned primarily justice and equality with a focus on Roma missions and questions around migration. The material for the Week of Prayer for Christian Unity, prepared by the churches in Indonesia, supported these discussions, addressing the theme “Justice, and only justice, you shall pursue …” (Deuteronomy 16:18-20). The Be1-course is organised as a voluntary ministry every year in a different country in Europe during the Week of Prayer for Christian Unity. It is a joint project, with cooperation between various Christian associations in Europe. This year the participants came from France, Germany, Denmark, Finland and India. The course received a warm welcome by the Ecumenical Council in Hungary. The Conference of European Churches supports this grassroots ecumenical initiative. CEC Executive Secretary for Theological Dialogue, Katerina Pekridou, participated in the course and shared the plans for the programmatic work of the organisation for the next few years. Looking ahead into the future, the founders of the BE1 course, Virpi Paulanto and Juhana Malme, hope to see this initiative spreading in Europe and to all continents were Christians celebrate the Week of Prayer.